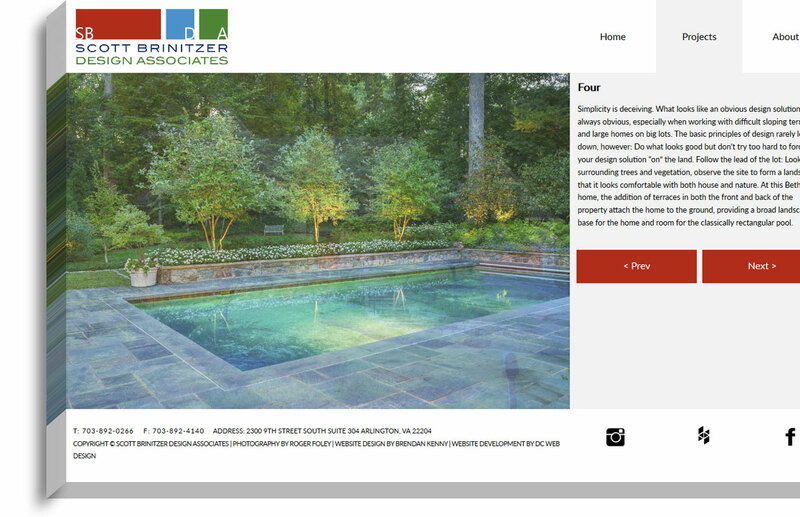 Over the past 26 years, Scott Brinitzer Design Associates has developed a Landscape and Garden Design practice that specializes in creating elegant, sophisticated gardens that meet the practical and aesthetic needs of our clients. SBDA considers a design successful when it blends harmoniously with your home. SBDA offers a range of services including, Landscape Architecture, Garden Design, Landscape Installation, Iron Fabrication & Installation, Pool Design & Installation, and more. 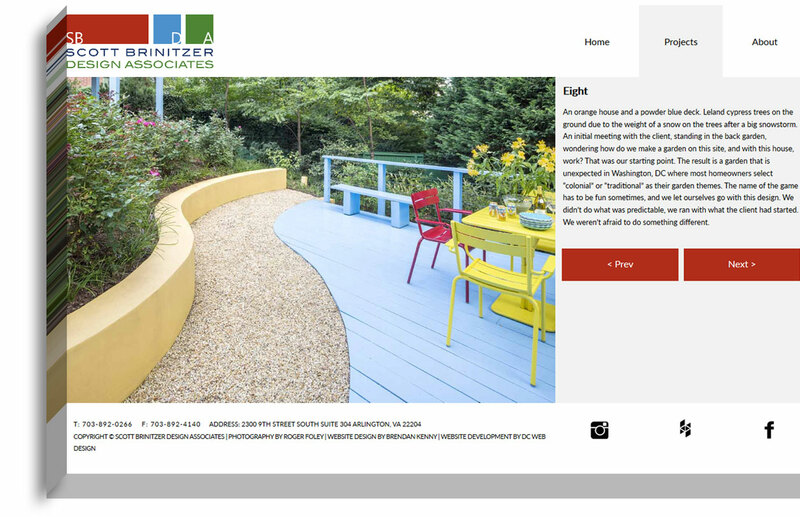 Scott Brinitzer Design Associates needed a new digital presence to showcase their premiere work. The presence needed to be responsive and designed to seamlessly present SBDA’s design examples. 80Port built a responsive website that makes navigating projects easy on any device. Focusing on SBDA’s unique value proposition and industry leading work, 80Port created a brand strategy that immediately commands the attention of prospective clients. 80Port built an eye-catching and user-friendly website that, along with the stunning work examples, makes it a stunning place to visit. 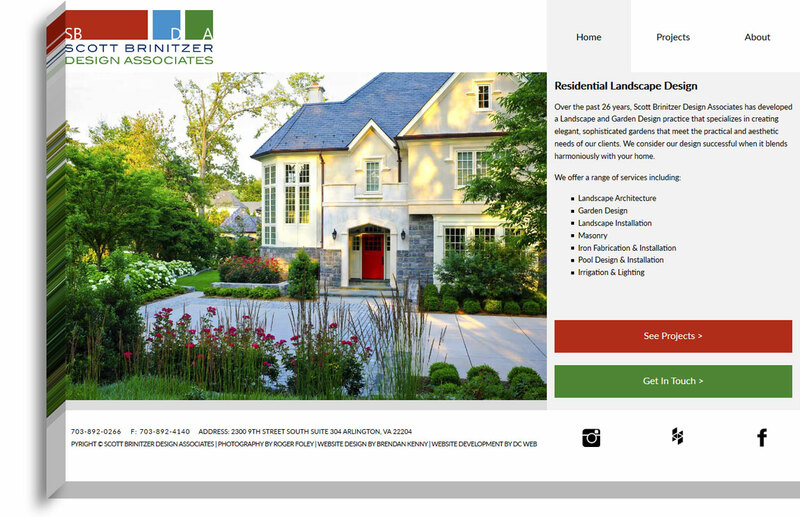 Their new website clearly positions them as a dominant regional leader in landscape design. 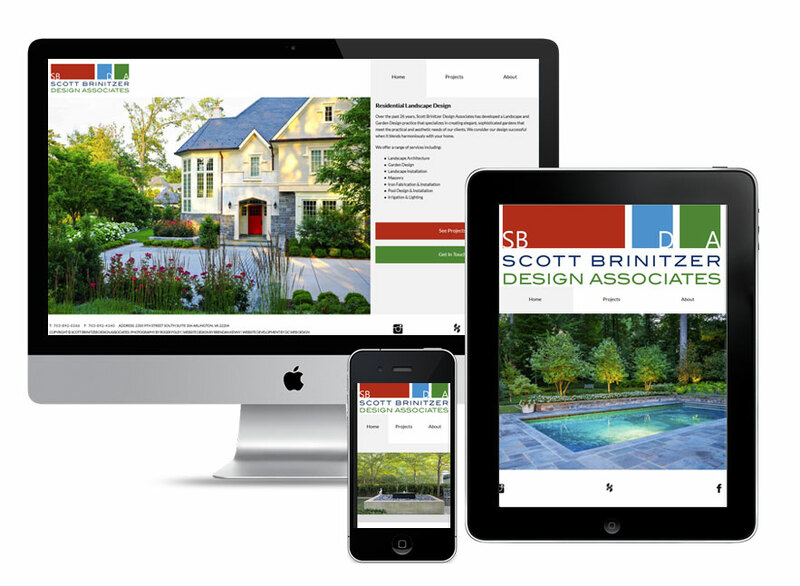 Scott Brinitzer Design Associates - A DC web design and marketing agency, we offer design and marketing for DC businesses small and large. Our web design solutions give you the advantage you need to be competitive in today’s competitive digital landscape. Our offices are located in DC; we partner closely with our DC clients to offer cutting edge design and innovative digital marketing solutions. We build and elevate brands using expert digital strategy and exemplary web design. Through our design process, we discover hidden potential by understanding your identity and your audience.